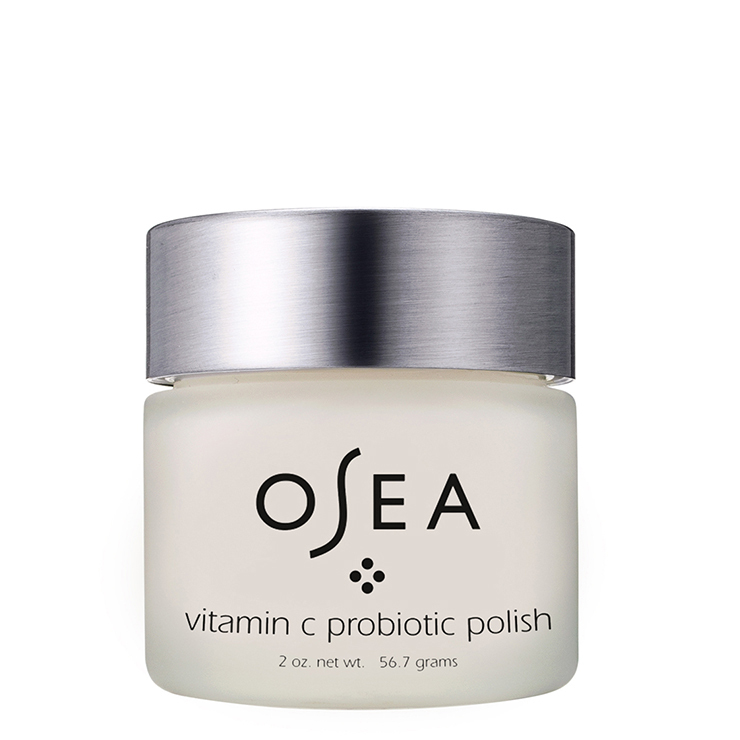 Give skin a look of recharged vitality with OSEA Vitamin C Probiotic Polish. Designed to banish the appearance of dull, rough skin, bamboo gives the complexion a super soft and smooth feel, while plant-derived probiotics lend a look of even skin tone and reduce the appearance of blemishes and redness. Rice powder makes skin feel gently sloughed and pomegranate delivers a look of hydrated plumpness to skin. Use this skin polish to provide a sense of protection from environmental stressors and visibly restore a youthful glow. Mix ¾ teaspoon of face polish with a few drops of water in palm of hand to form a creamy paste. Apply to skin, massaging in circular motions for one minute, taking care to avoid the eye area. Rinse thoroughly with warm water. For best results, use 2-3 times weekly. Ascorbic Acid, Oryza Sativa (Rice) Powder*, Bambusa Arundinacea Stem Extract*, Lactobacillus/Punica Granatum Fruit Ferment Extract, Leuconostoc/Radish Root Ferment Filtrate, Gigartina Skottsbergii Extract*, Macrocystis Pyrifera Extract*, Undaria Pinnatifida Extract*.